We poured over the map of lost gold mines in Oregon, 4 heads bent together, deciding which abandoned mine to try and locate. Decision made, we set out, first by vehicle and then on foot. What would we find, if anything? Hiking on an old spur road, through a tunnel of green underbrush and trees, we all stopped. The green was broken by a river of orange, which turned dipped foliage rusty. Our eyes followed the water up the hill, and lit on a mine entrance straight from the movies. Vesuvius. It’s whisper was on our lips, and we breathed the name as though we were one. We came up the mountain from the East side, where Musick Mine is located. We stopped at the saddle to play for a minute, and to look around. Bohemia Saddle is between Bohemia Mountain and Fairview Peak, and is a park managed by Lane County Parks. The sign is the only clue that it’s a park, though. There are no picnic benches, trash cans, or toilets. 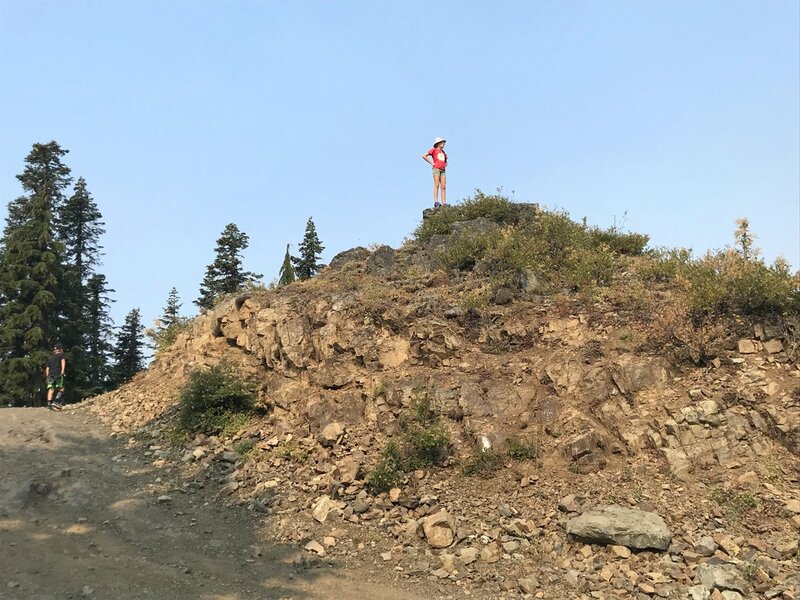 The trailhead for Bohemia Mountain Trail is also here, and you can park your vehicle and hike to the top of Bohemia Mountain. We didn’t have time for that on this trip, as we had bigger fish to fry: Gold mines! The highest point of the saddle is a fun viewpoint for kids. Scrambling up the backside is safe and not very steep, and it’s just a short climb anyway. Next, we drove down the south side of the saddle, toward what we hoped would be Vesuvius mine, which was dubiously marked on the map. Just below the saddle, near a switchback curve in the road, is this old assay office. It was standing the last time I was here, maybe 15 years ago. Now, nothing left but the roof. What’s a trip to find lost gold mines if you can’t also pan a little? I don’t know, but we dipped our pan for a few minutes so we wouldn’t have to find out! Note that many areas along Bohemia’s streams are still private claims. Don’t even get your pan out of the car if there’s a “No Trespassing” sign or claim sign posted. At the tip of the switchback was a creek, and a tiny spur road. We suspected this might be the old road into Vesuvius, so we parked here and got everyone out of the van. My husband spent a few minutes showing our son how to swirl the water in a gold pan to clear dirt and debris. They didn’t find anything except dirt and debris. Finally, we set out down the old road, into that vast green tunnel. The walking was pretty easy. The road is gated, but there are no signs posted about trespassing. After maybe 1/3 mile, there it was: Vesuvius. We hadn’t known if it still existed at all. Maybe there was nothing left to find. Instead, it’s there and it’s glorious. When we broke through the underbrush into a small clearing, the very first thing we noticed was a bright orange creek. A few more footsteps forward and we saw the entrance. It’s constructed from huge beams of timber, probably milled on site from Douglas fir trees. It juts out from the hillside a few feet, kind of like a porch on the front of a house. Inside, it tunnels straight into the heart of the mountain, at one time more than 7000 feet, but is now blasted shut about 20 feet inside the entrance. The creek seeping from the mine entrance is hard to ignore. The color is a shocking bright orange and all of the foliage touching the water is dead. As lore describes, the acidic water ate through the miners’ copper air pipes within a few hours, making maintenance of the mines a full-time, and expensive, job. 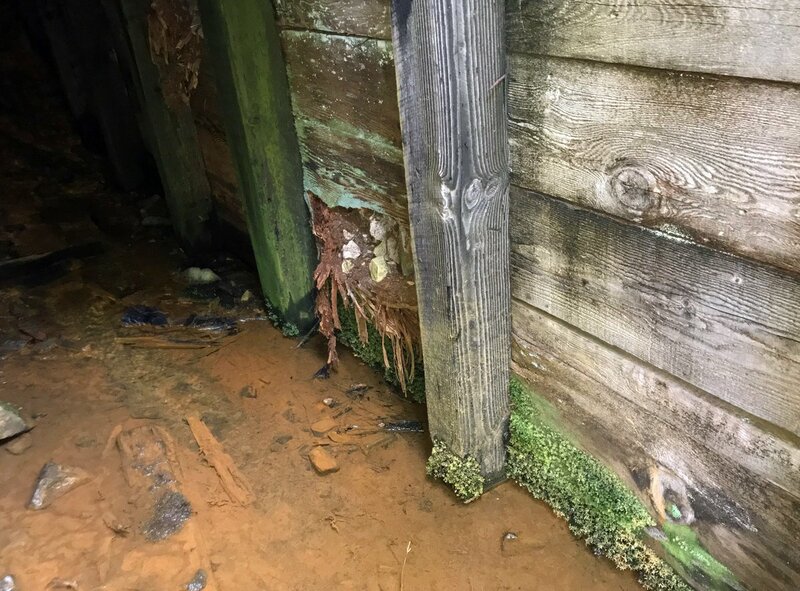 A paper by the Forest Service suggests the orange color of the water is due to iron and other heavy metals that leach from acidic mine drainage. According to a study published in Environmental Geology, the heavy metals may be naturally occurring, but also may be pollution from the the process used to extract gold when the mines were active. Whatever turned the water orange, we stayed away from it, and didn’t touch the water beyond poking sticks into it. Our camera flashes weren’t powerful enough to fully penetrate the mine entrance, which goes back about 15 to 20 feet before ending in rubble. Some portions of the mine entrance were visibly weakened. We did NOT go into the mine, not even a few feet. It just isn’t safe, especially with children. But it’s fascinating to see how big the timbers are, and how they’ve stood sturdy for 120 years. The roof of the entrance is crumbling. 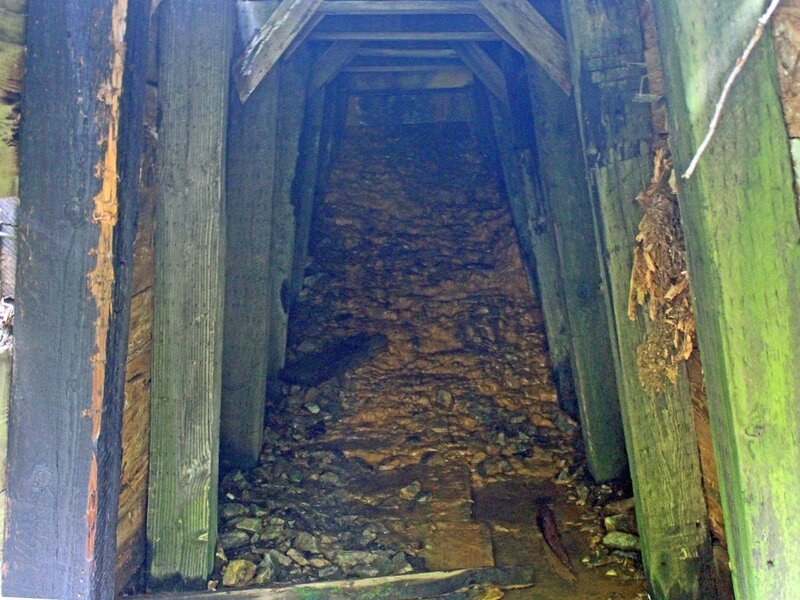 We didn’t see very much debris from it, so I suspect someone has been removing dangerous timbers to keep the mine entrance safer. Each of us explored around the area a little. The mine is at the edge of a steep hill. We found some old boards and part of a tin roof below the road, but not much else. The slag pile trailed far down the hill, out of sight. While most mines on Bohemia were located on the east side of the mountain, Vesuvius is on the west side, and was opened in 1897. They struck it rich in 1901. By 1903, they’d built 10 miles of road, some of which are still in use. By 1908 a small city thrived there with a mill, an 1800-foot tramway, assay office, saw mill, bunkhouse, store, and post office. In 1921, it boasted over 7000 feet of tunnel. I found this fun photo taken around 1907. It was part of Ray Nelson’s collection. If you look closely, you can see the 1800-foot tramway, the bunkhouse, and circled at the top right is the mine entrance and tailings pile. I added the red line to show the road that we hiked in on. In 1921, the mine owner, FJ Hard, died. He was shortly followed by his son, leaving just his wife and daughter to manage the mine. Remember, it was 1921, and women largely didn’t have a part in such matters. The mine went dormant, the equipment stolen, the buildings burned, and the tunnels collapsed. 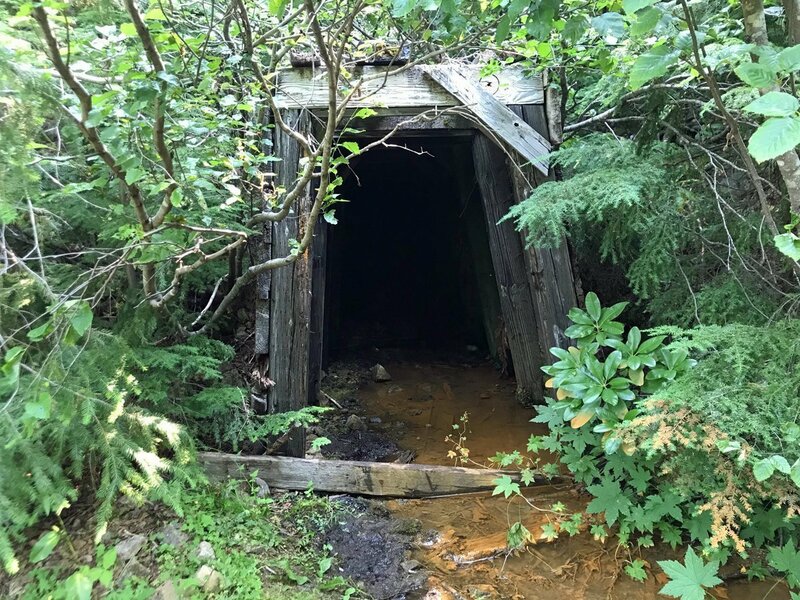 In 1960, Ray Nelson bought the mine, but it has never produced gold again as far as I can find. If you go, it’s best to drive a high clearance vehicle. We made the trip just fine in our minivan, but the roads aren’t highly maintained and there were places we had to hike into because our van couldn’t go any further. 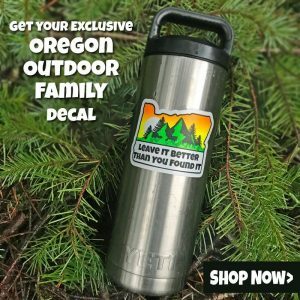 Take water and food…there are no amenities on Bohemia Mountain, and the nearest gas station is 40 miles away. It’s remote, and you could easily spend the whole day (or three, as we did) and not see another car. There’s no cell phone access. You’re alone and being prepared is your best defense. We saw a disabled car pulled to the side of the road, a thick black fluid trailing down the road. We didn’t see the driver, but I’ll bet he hiked a few miles before finding help. 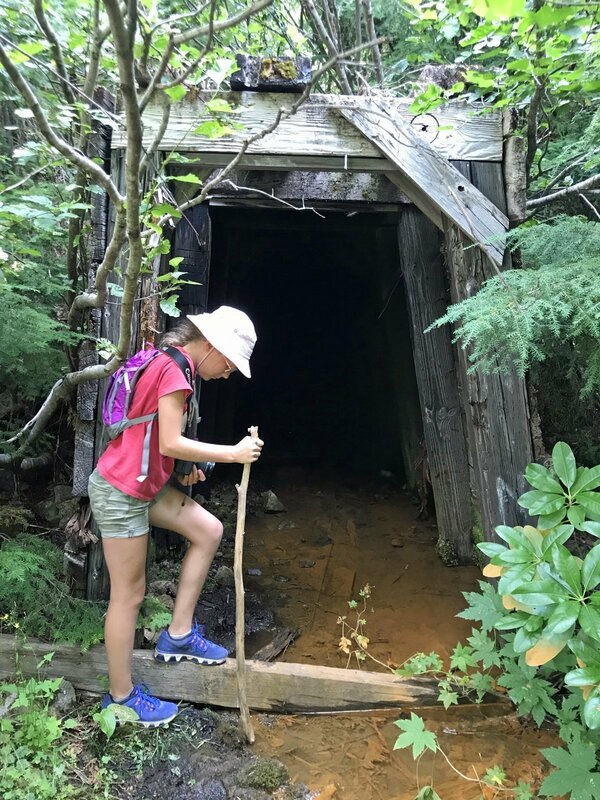 Bohemia Mountain is about 1.5 to 2 hours from Eugene, so visiting Vesuvius and other nearby mines like the Musick Gold Mine is a pretty easy day trip. Also, I highly recommend visiting the Bohemia Gold Mining Museum in Cottage Grove. It’s dedicated to the Bohemia Mining District’s history, and the volunteer docents are very well acquainted with the mines and stories of the past. I’d love to go rock hunting and panning for gold. So awesome! It really is a unique experience. My mom has always been into rocks, but I wasn’t until I was an adult. Turns out, digging up your own souvenirs is pretty fun!